Beck and Baird developed the landscape design for this 142 housing unit development. Common recreation facilities included: cabana, volleyball, basketball, and outdoor patio. The conceptual planting design was integrated with existing tropical vegetation. Pedestrian and bike were developed as the major circulation routes. Site planning for 121 acres of high quality residential development along the Boise River. Developed site alternatives that featured: roadways, lots, preservation existing riparian vegetation, and neighborhood recreation facilities. Provided graphic presentation for marketing programs. 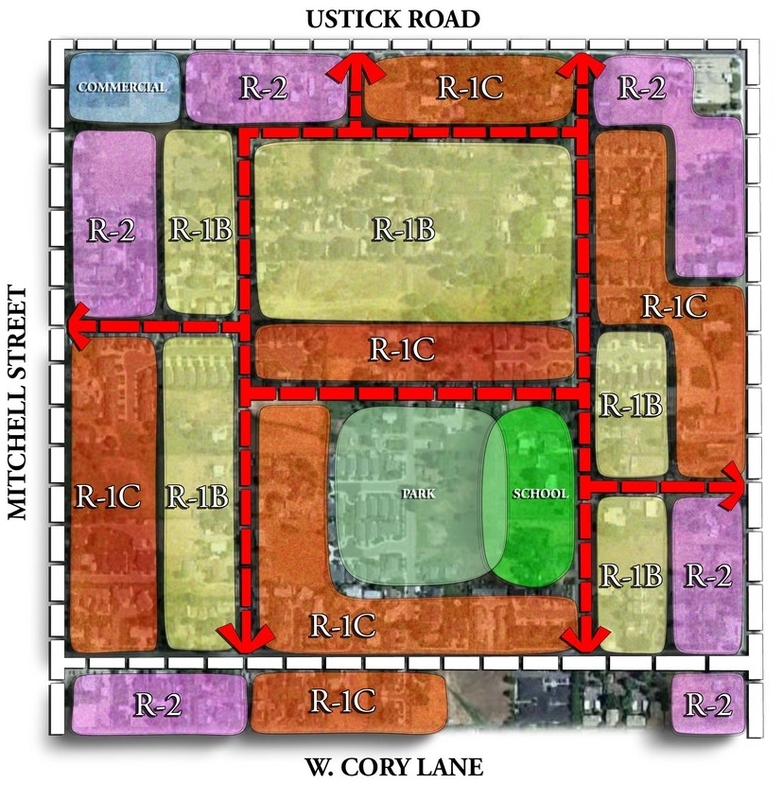 Beck and Baird developed conceptual master land use plan for 130 acre neighborhood with unique characteristics from historical use as street car hub. Developed guiding principles addressing development densities, building & landscape characteristics, as well as street features such as widths, detached sidewalks and the promotion of the use of alley's in residential development. Worked with the neighborhood and the Client to identify potential amenities, guiding their prioritization and helping to locate their future development to best serve the long term goals for the neighborhood.